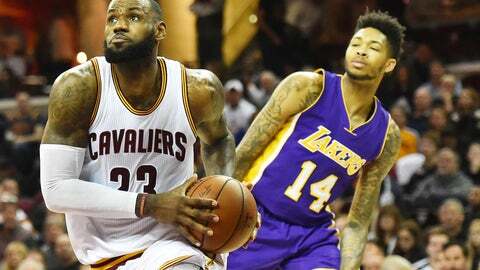 The 2016-17 NBA regular season is coming to a close — which is a perfect time to look ahead to next year. After all, the Cleveland Cavaliers and Golden State Warriors once again look like they're on a collision course for a Finals rematch. There's not a whole lot of intrigue heading into the postseason. In 2017-18, though, the entire landscape of the Association could shift. Here are five teams we expect to surprise the basketball world next season, by either exceeding or coming up short of expectations. If you're not paying attention to this scary-good young team, you'll be in for quite the surprise next season. The Bucks are solid playoff contenders already, and that's with Jabari Parker sidelined, Thon Maker still developing, and Khris Middleton having missed much of the season due to injury. 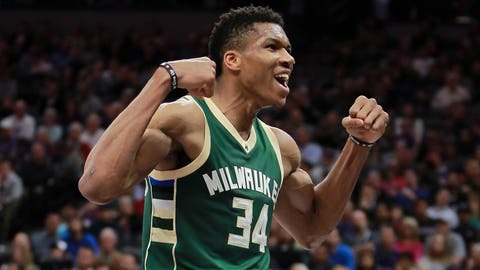 A fully healthy Milwaukee squad with another training camp's worth of practice and chemistry under its belt would be the second-best team in the Eastern Conference next season. That's right — forget the Celtics, Wizards, Raptors, or anyone else. The biggest threat to the Cavs' supremacy in the East resides in Wisconsin. "With time, if this group can stay together, you'll see a Golden State situation, because you'll start to see Brandon Ingram take over games, where there's nothing anybody can do, similar to what Stephen Curry's doing. You'll see. Guys have no chance. "Then D'Angelo Russell, you can't make mistakes against him, similar to like Klay Thompson. He's a different player, but you cannot make a mistake against a fourth-year D'Angelo Russell. Right now, he's in his second year, right? "And then Julius Randle, with the improvement, look at Draymond Green, pushing the ball. Julius had triple-doubles this year, he had [games of] eight assists, and he's still raw. So with that being said, you've got guys that if they stay together, they'll win, and they'll be All-Stars." I'm not quite as bullish on the young Lakers as Metta, but there's definitely something here. 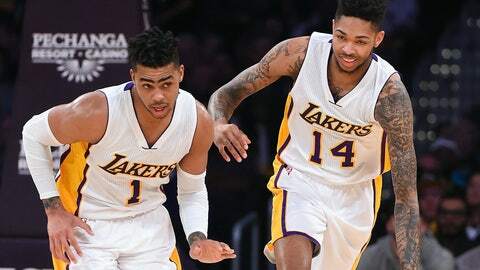 I have faith Luke Walton can push his squad into the playoff picture next season by unleashing Russell and Ingram. That's assuming the Lakers defy the odds and keep their lottery pick this summer, of course, which is absolutely going to happen. The universe tends to work out for Los Angeles. 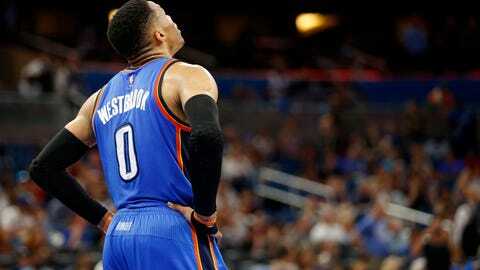 Here's my bold Thunder prediction: Oklahoma City becomes much more talented this offseason by adding Blake Griffin in free agency, but Russell Westbrook's team takes a step back next year as it tries to fit Griffin into a roster that's built to maximize Westbrook's talents. What the Thunder really need is a couple of wings who can knock down 3s and play defense. Yet if Griffin comes calling — and the guess here is he's ready to leave Chris Paul and the Clippers — how do you say no to adding a superstar alongside Westbrook? Add in the fact Westbrook won't be able to keep up this triple-double pace for another season (we think, anyway), and the Thunder could start to struggle just as they get better on paper. 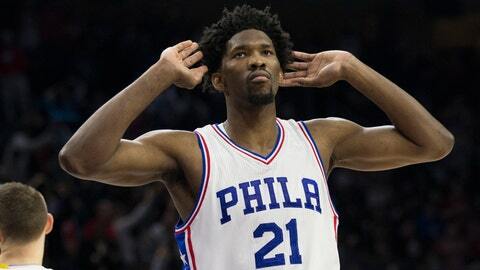 The 76ers will be a playoff team next year. We understand why you're rolling your eyes now. Joel Embiid is hurt, Ben Simmons hasn't played a minute of NBA basketball, Philly gave away Nerlens Noel for practically nothing, and we have no idea how good Jahlil Okafor actually is. Here's what we do know: The Sixers were on the verge of playoff contention when Embiid went down this season, and he should be fine next season. His latest injury was a relatively minor soft-tissue ailment, not a catastrophic failure of the leg. We also know Brett Brown is a much better coach than he gets credit for with this team. Once he has a full complement of actual NBA players at his disposal, Philly should turn The Process into The Result almost overnight. How can we possibly expect the Cavs to disappoint next season? It's easy: Father Time still exists. In 2017-18, LeBron will be coming off of his seventh straight Finals performance. Unless the man is actually a cyborg, he's going to need a ton of rest next season. But The King isn't Cleveland's biggest concern. Richard Jefferson might retire this summer. Channing Frye turns 34 in May. Kyle Korver is 35, Deron Williams 32, and J.R. Smith — whose best basketball days might be behind him — is 31. 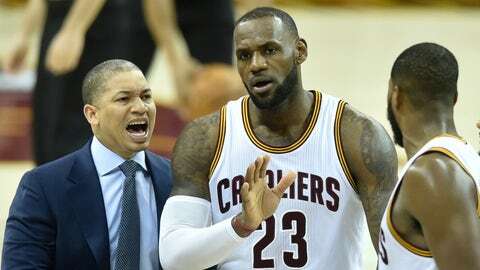 The Cavaliers are on the verge of needing to stockpile role players to put around LeBron, and they'll have very little room to operate under the salary cap. They can count on some vets taking massive pay cuts to chase rings and hope that's enough. Sooner than later, though, Cleveland's due for massive regression and a sub-50-win season. Don't be surprised if that starts to play out next October ... only for LeBron to force his way to yet another Finals come June. It's still good to be The King.